All's calm in Nantucket. Photos by Kendah El-Ali. What's the difference between the tony islands of Nantucket and Martha's Vineyard? Writer Kendah El-Ali shares her view from the ship's bow. 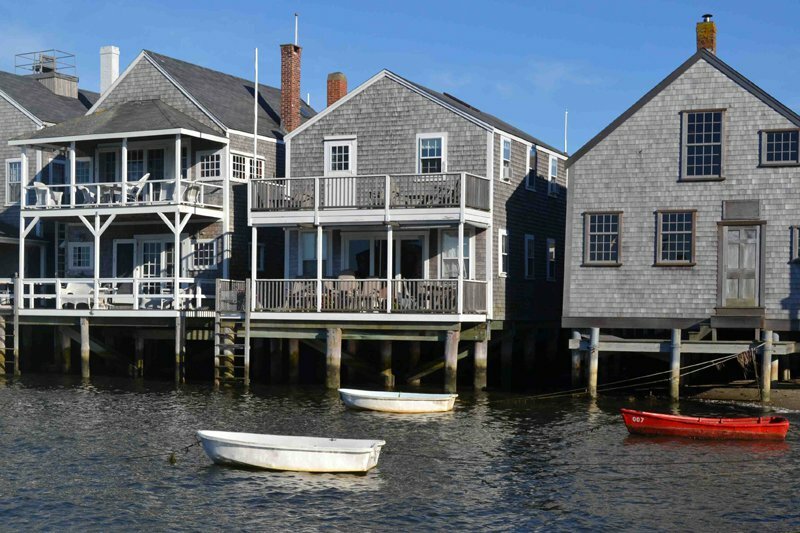 NEW ENGLAND – Martha's Vineyard and Nantucket have a reputation that, in my mind, are somewhat maligned. It is true that they are both breathtakingly verdant, salt-boxed vacation spots for the largely white, rich, and famous. 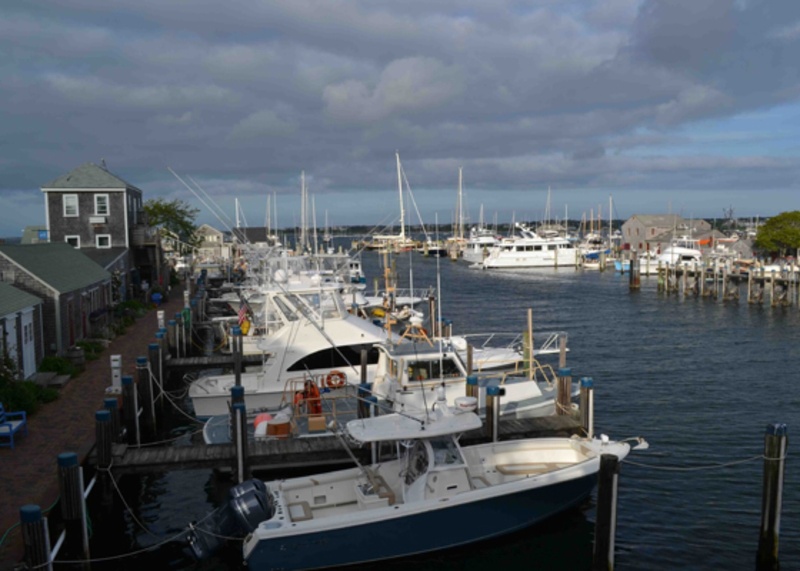 But Nantucket is originally a whaler's port and The Vineyard a fisherman's paradise. So what better way to explore the local spirit of the Elizabeth Islands' best-known members than by sailing between two of their backcountry ports of call? 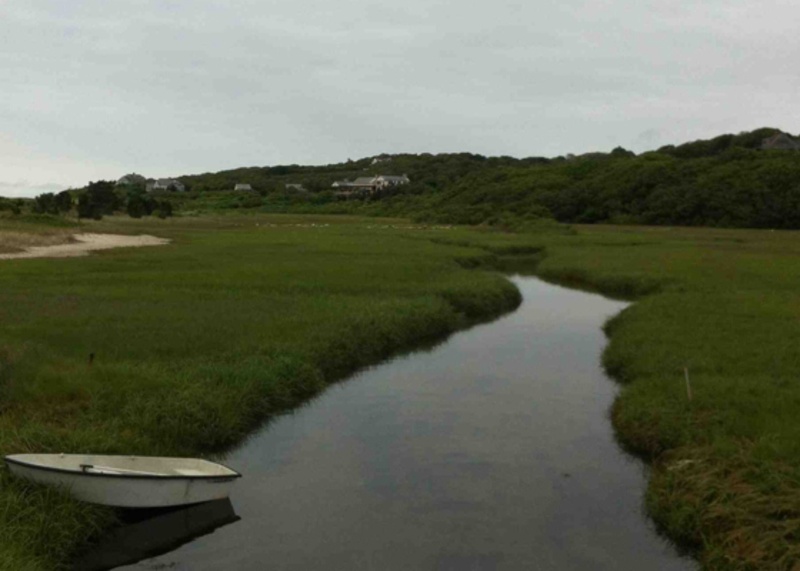 Transforming my window's view from Brooklyn's beleaguered Gowanus Canal to Tashmoo, the crystalline salt pond nestled just west of Vineyard Haven on Martha's Vineyard, is as easy as calling up one of my best friends. Whitney's father, Spider Andresen, is a local fishing celebrity. 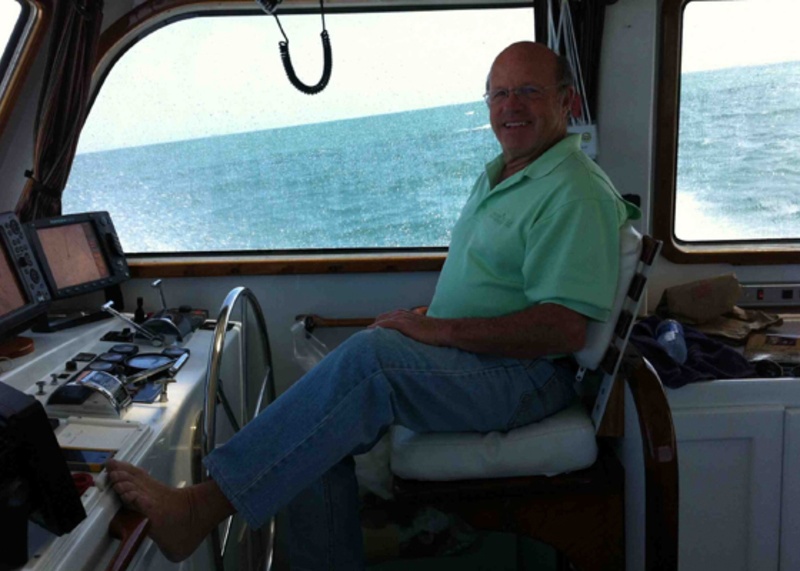 He owned a fishing magazine for several years, and also happens to be Jimmy Buffett's fleet captain. Of course, backcountry in these parts still has its flair for the exclusive. Our mission was to help Spider host a charity fishing competition. 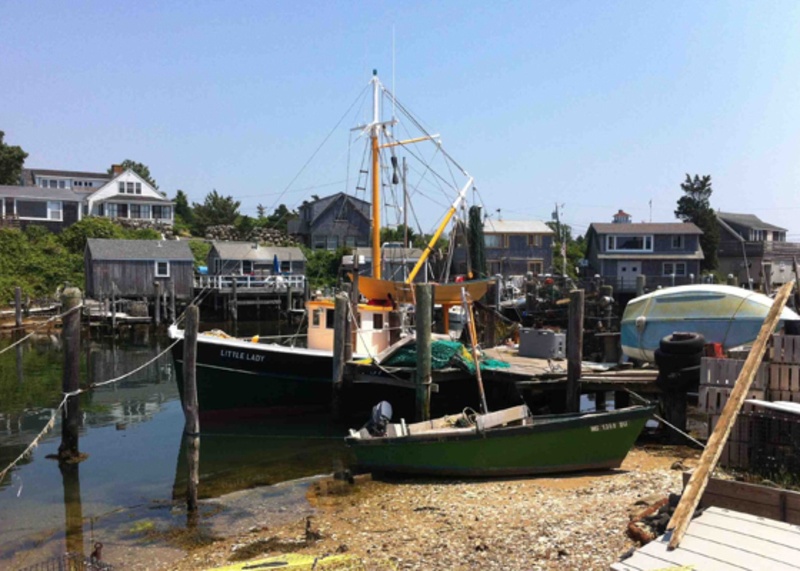 After the event, we'd sail from Nantucket Boat Basin to Menemsha, a small fishing village next to the Andresen family home in Chilmark on the Vineyard. Docking at Nantucket Boat Basin feels more like a movie set than any conceivable American reality. Lined by miniature gray-and-white shacks, the picturesquely pristine, Anglican vibe is impenetrable. Cobblestone streets dappled with the shade of maple trees meander between late 17th-century churches and white picket fences. Victorian gables pierce the blue sky. Land Rovers creep by with ubiquitous ACK stickers on their bumpers. Men pass in their Nantucket Reds. (A social statement for those who frequent the area, the pinkish pants were originally made from sailcloth at Murray's Toggery. All I could say to Whitney on our first day there was, "Is this real? There's no way that what I'm looking at is real!" 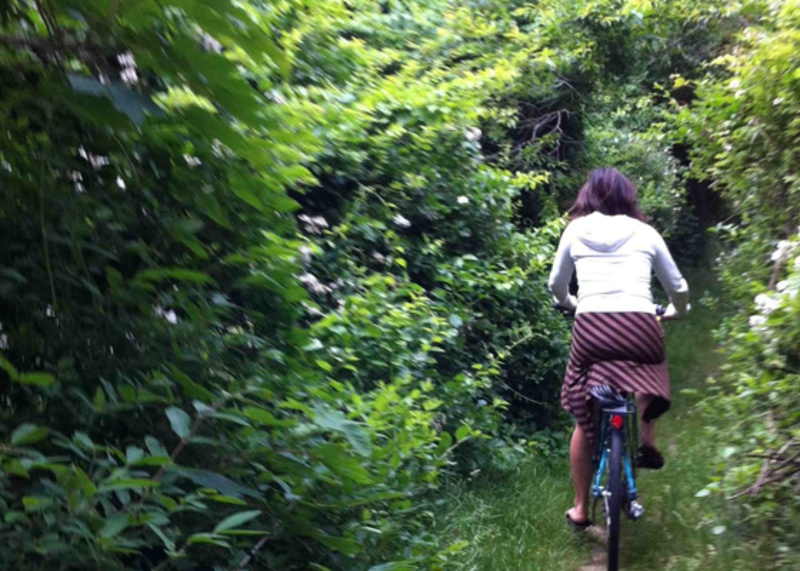 ) We rented bikes and hit the road for Surfside. 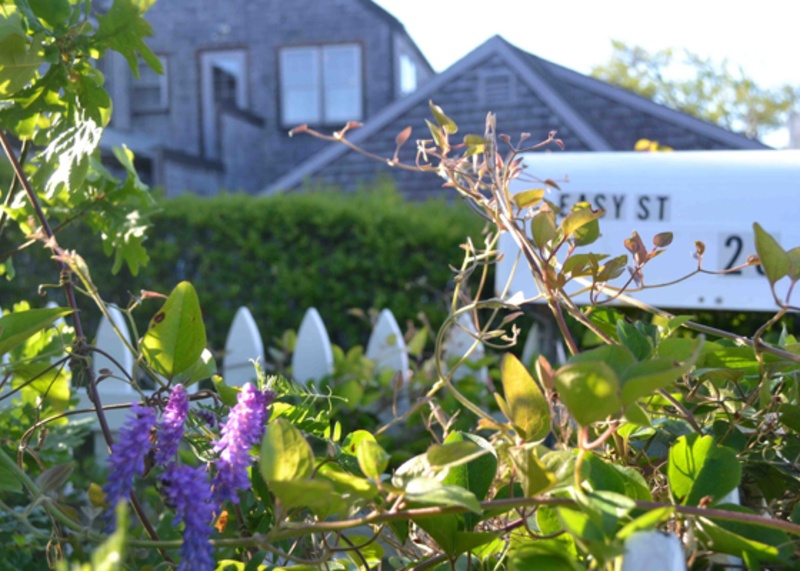 What I saw in Nantucket was a more manicured, sandier version of the wild beauty that is Martha's Vineyard — a bit like Edgartown, stretched out across an island. We spent most of our time organizing the event from the Nantucket Anglers' Club, which meant spending time with the warm, friendly shopkeepers from the Basin who offered up everything from maritime art to a dozen lobsters for the charity auction. And of course there was a raw bar. And plenty of salty, sun-damaged fishermen. With fisherman come inevitable waves of grog. After three days drowning in cherrystones, lobster rolls, and bottles of Triple Eight Blueberry Vodka (probably the best flavored vodka on the planet, distilled right on Nantucket), it was time for our sealegs to board The Stormy Petrel and head back to Menemsha. Though beautiful, I was grateful to watch the Basin become smaller in our rear view as we motored between the slips. Nantucket's sybaritic bent isn't exactly my speed. The two-hour trip between the ports was a vast expanse of sparkling, blue Atlantic Ocean. Spider chattered about the fish caught during the event while steering the ship and flipping switches on his control panel. I traced shipping routes from Ocracoke to Cape Porpoise with my finger on a map while Whitney slept off her boat drinks. Opening the salon door let in heady wafts of sea air. It was a perfect Father's Day, even if mine was in Saudi Arabia at the time. As we neared The Vineyard, Spider treated us with a pass through Tashmoo. From there it was a straight shot back to Menemsha. The sight of rusty lobster pots and the even rustier Unicorn, a fishing dragger, warmed my heart. The chaos of Menemsha, littered more with men in rubber fishing bibs than pink pants, meant I was, in a way, back home. Certainly more down-home. Even if you're passing through by ship, there are a few must-sees in every port. Built in the last remaining car from the former Nantucket Railroad, The Club Car has been institution in Nantucket for more than thirty years. The restaurant serves an impressively innovative menu, considering its fare is unsurprisingly seafood. The chanterelles on a manchego-kissed square of brioche was an unforgettable starter. So was the salt mined from the moon's Copernicus Crater, as served to us by owner Joe Pantorno. Make sure to hit up the piano bar after dinner. Vintage frocks, wine, cheese, and local beer tastings, oh my! Owner Elisabeth English travels between New York, LA, Napa, France, and North Carolina every winter, collecting delicious food, striking clothing, and stunning accessories to sell in her adorable store. Her idea is to "keep the store as interesting for me, as it is for customers," she said. And from the mix of men, women, foreigners, and locals alike abuzz in the store, she clearly has island shopping nailed. Go to Larsen's. Buy their seafood and smoked tuna spreads. Feel free to email me later and thank me for having changed your life. I proudly wear their sweatshirt, and I eat seafood only when on The Vineyard (and Nantucket). These famous chocolates are worth the hype. The tiny store can only fit ten people at a time, and employs developmentally challenged islanders to create their delectable confections. It also sponsors an island non-profit each month, and all proceeds go to helping their employees and the non-profit of choice. Kendah is a Brooklyn-based writer and editor. She travels for the fact that it's all she knows, as she pretty much grew up out of a suitcase.